Providing you the best range of Commercial Kitchen Equipment such as Idli Box, Gravy Machine, Bain Marie, Ice Crusher and Onion / Chilli Cutting Machine with effective & timely delivery. 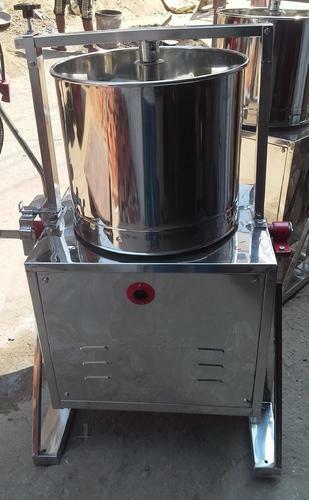 Since the inception of our organization, we are offering Tilting Wet Grinder to the clients. We have huge stock of these wet grinders in order to supply these to the rising clients. Finding extensive application in the industry for related purposes, these wet grinders have the capacity of 3 to 50 kg. The heavy type gear box is an important part of these wet grinders and the stainless steel body provides complete protection from the abrasion and rust. Our clients can avail from us a remarkable range of Idli Box. We prepare bulk quantity of Idli's , which is manufactured with high pressure valve and ultra-modern technology. 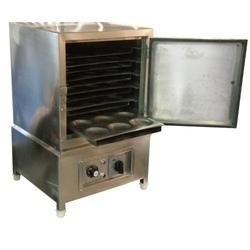 These are simply operated heat resistance door with handle unit, which is mounted on tubular stand in M.S or S.S. Each chamber consists of 3 trays in which 60 idli's can be prepared and are available from 60 to 300 idli's per cycle. 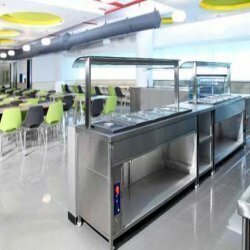 We are one of the prominent manufacturers and exporters of optimum quality Bain Marie offered by us is made from high quality stainless-steel, which make our range solid and durable. Customers can avail our range in customized form, exactly as per the specifications and details given by them. Available in various capacities like three vessels, two vessels, six vessels, four vessels and more, our range found wide application in restaurants, hotels, wedding halls, hostels and other places. We listen to the suggestions of clients and try to make changes accordingly, if required. 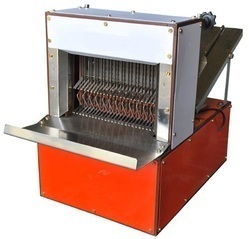 Onion / Chilli Cutting Machine Used for Cutting Onion, Chilli & Vegetables Cutting Small Pieces. Generally Used for Canteen, Hotel, Hostel, Marage Hall.